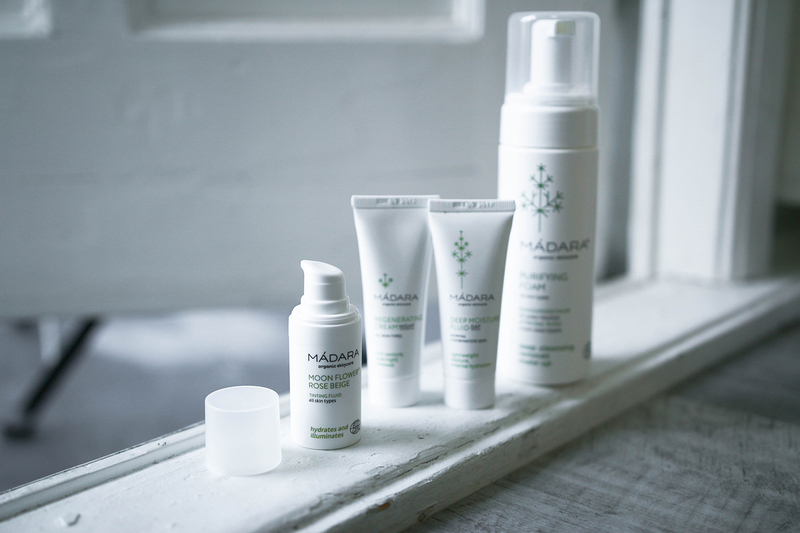 Today I want to introduce you to the organic cosmetic brand Madara. This brand got all kind of products for your body, face and hair. 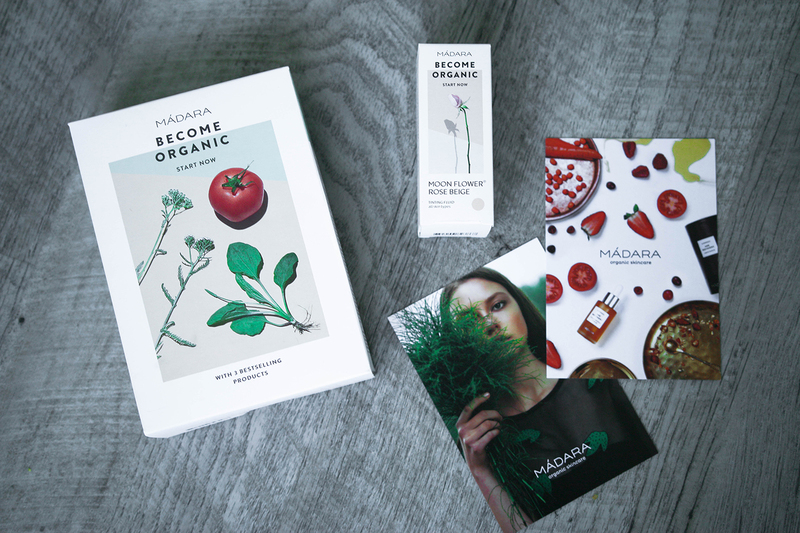 Madara is 100% organic and, after using it for more than a week I can say, great for your skin. 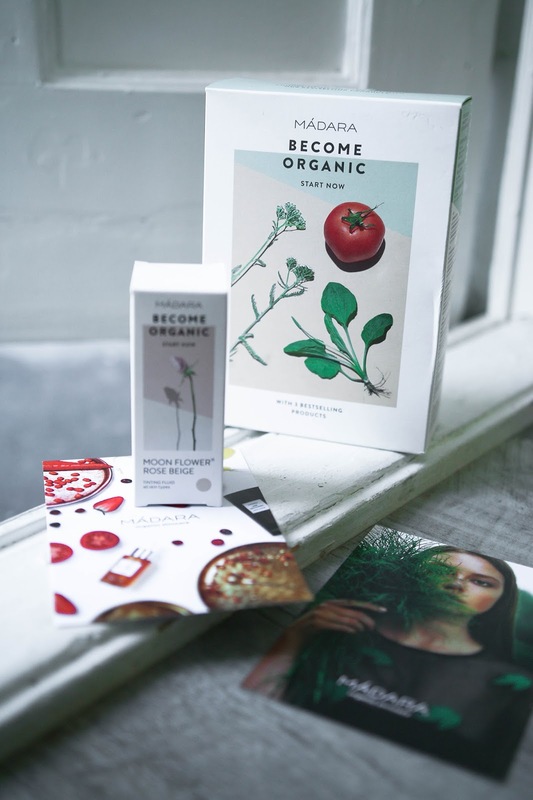 I used for a week the starters pack 'become organic' with a day and night cream and deep purifying foam. The day and night cream both have a fresh citrus smell and are more water based. In my opinion perfect for a more oily skin. It doesn't moisture a lot but your skin feels great after using it. 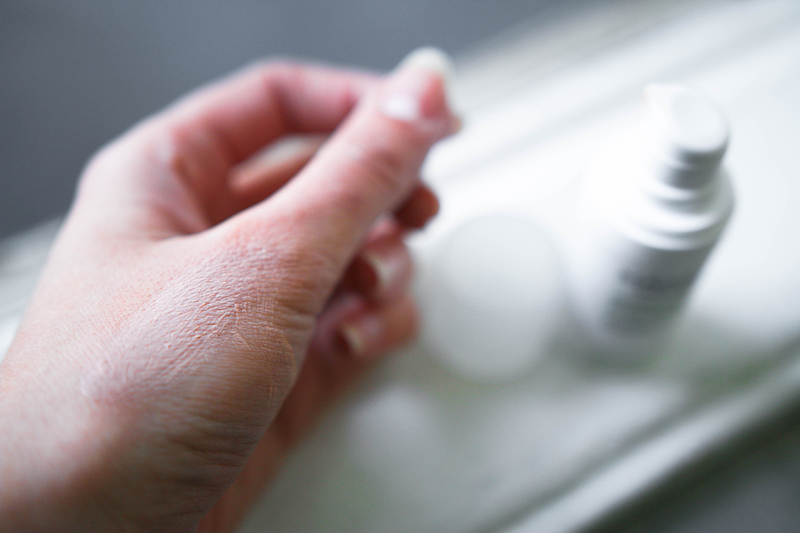 However because both the day and night cream are not so moisturizing, you need quite a lot for you whole face. The cleansing foam is great! It doesn't remove mascara but it does remove foundation and it cleans your skin. I also tried the rose beige tinting fluid, first that I noticed is the smell! It's exactly the smell that reminds me of gardening with my mum in the kitchen garden. I love this natural smell of leaves and plants but I don't know if everyone would like it. Especially if you are used to perfumed products. Second, the tinting fluid gives a shiny glow on your face, in a good way. I would not say it that it gives you a equalized skin but it does make it looks more healthy and glowing. To sum up, if your looking for organic skin products I would definitely recommend Madara. The products are soft, have a nice natural smell and it's all payable.